In Drywall Acoustic Lathing and Insulation, Local 675 Pension Fund (Trustees of) v SNC-Lavalin Group Inc. the Ontario Superior Court of Justice examined, in the context of competing motions for summary judgment, what constitutes public correction of an alleged misrepresentation in a secondary market securities class action. The decision in Drywall Acoustic builds on Justice Belobaba’s analysis in Swisscanto v Blackberry and recognizes that the “public correction” requirement serves as more than a mere “time-post” for the measurement of damages. Significantly, the Court confirmed that a public correction is a “constituent element in the determination of liability” and, in complex cases where the existence of a public correction is in dispute, such issues may not be appropriate for determination by way of a motion for summary judgment. The plaintiff shareholders commenced a class action against the defendant reporting issuer, SNC-Lavalin, as well as several of its officers and directors, alleging that SNC-Lavalin’s core documents contained misrepresentations that, once discovered, caused SNC-Lavalin’s share price to plummet, resulting in over $1 billion in shareholder losses. Specifically, the plaintiffs alleged that SNC-Lavalin’s core documents falsely stated that (i) SNC-Lavalin was a “socially responsible company”, (ii) SNC-Lavalin had controls, policies, and practices in place designed to ensure compliance with anti-bribery laws, (iii) SNC-Lavalin’s internal controls over financial reporting and disclosure controls and procedures were properly designed and operating effectively, and (iv) SNC-Lavalin’s business was being conducted in compliance with a code of ethics. The plaintiffs alleged that these misrepresentations were publically corrected through a series of press releases, articles and reports (collectively, the “Disclosures“) which revealed, among other things, that SNC-Lavalin had paid bribes to foreign government officials. The defendants brought a surgical summary judgment motion on the issue of whether the alleged misrepresentations had, in fact, been publicly corrected. The defendants argued that: (i) none of the Disclosures were corrective of the alleged misrepresentations because they did not “logically connect with the statement in the core document and, therefore, the statement [said] nothing about the truth or falsity of the statement in the core document”; and (ii) a public correction must have a “significant impact on the valuation of the securities being traded in the secondary market” and that evidence of such impact was not present in this case, based on statistical evidence analyzing the Disclosures’ impact on SNC-Lavalin’s share price. The plaintiffs brought their own motion for summary judgment to determine whether misrepresentations and public corrections had, in fact, been made and filed their own statistical evidence regarding the impact of the Disclosures on the SNC-Lavalin’s share price. Within the context of these competing motions for summary judgment, the defendants brought a motion for directions to determine whether, and in what manner, the summary judgment motions should proceed. What role does public correction play in secondary market securities class actions? Could the issues relating to public correction, on the facts of this case, be determined summarily? As set out further below, the Court permanently stayed the plaintiffs’ and defendants’ summary judgment motions; in doing so, the Court distinguished Swisscanto, which was decided within the context of a low-threshold leave application, and held that a public correction is an integral element of liability in secondary market misrepresentation class actions. The Court affirmed that a public correction is “a constituent element and a necessary pre-requisite for a cause of action under s. 138.3 of the Ontario Securities Act” and agreed with earlier case law which held that public correction of a core document can come from any number of sources including the issuer, market analysts, short-sellers, newspaper articles, and credit rating agencies. … in a particular case, the public correction component of the statutory cause of action can play much more than a relatively modest role in the statutory scheme. In addition to being a constituent element in the determination of liability, the public correction of the misrepresentation plays a fundamental ingredient in quantifying that liability; that is, public correction plays a fundamental role in the calculation of damages. …both the statistical analysis and even more so the semantic analysis of what counts for a public correction raise numerous genuine issues and… are far too complicated and nuanced to be fairly and justly determined summarily. The Court noted that, in the case before it, determining whether the Disclosures qualified as public corrections was more than a “mechanical exercise”. Given the sophisticated and complex models tendered by the parties, combined with the “early stage of the development of the law about the statutory cause of action”, the Court was not willing to determine the genuine issues raised by the parties’ summary judgment motions without the benefit of a full trial record. Drywall Acoustic makes a significant contribution to the developing case law regarding the identification, role, and significance of a public correction in secondary market securities class actions. As a constituent element of the statutory cause of action, the public correction element has the potential of becoming a free-standing dispositive issue, not unlike a limitation period defence, and, in complex cases, may not be determinable by way of summary judgment. 2016 ONSC 5784 [Drywall Acoustic]. 2015 ONSC 6434 [Swisscanto] (case comment available here). Drywall Acoustic, supra note 1 at para 148. Ibid at paras 1 and 2. Ibid at paras 28 and 29. Ibid at paras 143 and 145. Ibid at paras 157,160, and 163. In Rooney v. ArcelorMittal S.A., the Court of Appeal for Ontario considered whether a plaintiff in an action pursuant to s. 131(1) of the Securities Act (the “Act”) is required to choose whether to sue the offeror, or to instead sue the directors/officers and signatories of the offeror, where misrepresentations are alleged to have been made in a hostile take-over bid circular. The Court also considered whether security holders who sold their shares in the secondary market should be permitted to elect to bring an action under s. 131(1) of the Act rather than pursuant to the secondary market liability provisions in Part XXIII.1 of the Act, based on alleged misrepresentations in the takeover bid circular. In September 2010, the defendant, Baffinland Iron Mines Corporation (“Baffinland”), was the subject of a hostile take-over bid led by the defendant Jowdat Waheed (“Waheed”), who was originally hired to provide strategic advice to Baffinland’s board of directors. ArcelorMittal S.A. (another defendant) first made an unsuccessful friendly bid for Baffinland alone, but later made a hostile joint take-over bid with Waheed. As required under the Act, both Waheed and Baffinland’s board of directors prepared circulars that were sent to Baffinland’s security holders. The plaintiffs brought a class action alleging that the circulars failed to disclose material information. and that the information included in the circulars was itself materially misleading and replete with misrepresentations. The action was based upon s. 131(1) of the Act and was brought against the persons and companies who signed and filed the circulars. The defendants brought various motions to strike out parts of the plaintiffs’ statement of claim on the grounds, amongst others, that (i) the plaintiffs were required to make an election on whether to sue the offeror, or to sue the directors/officers and signatories of the offeror under s. 131(1) of the Act and (ii) the plaintiffs who acquired their shares in Baffinland in the secondary market could not pursue their claims under s. 131(1) of the Act. The motions judge agreed on both points, stating that while Act could have been more carefully worded, it appeared that such an election was required, and that it must have been intended that secondary market transactions would be included under s. 131(1). …If the motions judge’s interpretation is correct, this scheme falls apart. What point is there in requiring the offeror’s directors and officers to sign a certificate affirming the integrity of the take-over bid circular if s. 131(1) forces a plaintiff into an election that could let those people off the hook? And what statutory purpose is served by forcing an innocent investor to choose which allegedly bad actor to sue? Why should a wrongdoer get a free pass? The legislature must be presumed to have created a coherent and consistent legislative scheme. It is highly unlikely that the legislature would enact a redundant right of action…The availability of s. 131 to these sellers would render Part XXIII.1 nugatory. If s. 131 provides an unfettered right to sue, why would a plaintiff ever choose to sue under Part XXIII.1 and thus to be subject to the leave requirement and liability caps imposed by that Part? As a result of the Court of Appeal’s decision, security holders seeking to make claims for misrepresentation in a take-over bid circular are not required to choose to sue the company or to sue its directors and officers. However, security holders who acquired their securities in the secondary market are limited to invoking the secondary market provisions in Part XXIII.1 of the Act. It must be noted that this is a significant decision for security holders who acquired their interests in the secondary market, as they are ultimately limited by the caps placed on damages by the Act, whereas primary market security holders face no such issues. The decision is significant for the plaintiffs and defendants alike because under Part XXIII.1 of the Act, in the absence of fraud, there are caps on damages for misrepresentation claims. There are no such caps under s. 131(1) of the Act. Thus the Court’s decision is welcome news for defendants. In Mask v. Silvercorp Metals Inc., the Court of Appeal for Ontario upheld a decision refusing leave to commence an action for secondary market misrepresentation under section 138.8 of the Ontario Securities Act (the “OSA”). The Court of Appeal’s decision, released on August 24, 2016, confirms that the test for leave in statutory secondary market claims must be viewed as a substantive hurdle to such claims and that judges considering a motion for leave may weigh and evaluate the evidence before them. Between March 1, 2010 and September 12, 2011, Silvercorp Metals Inc. (“SVM”) issued public reports regarding its mining operations in China. In September 2011, SVM became the target of anonymous internet postings which questioned the veracity of SVM’s financial accounting and public disclosure. The anonymous posts alleged that SVM had overstated its mineral resources and reserves in China. As a result of the posts, SVM’s share price dropped by approximately 30 percent. In response to the anonymous posts, and in an effort to demonstrate that its initially reported revenue and production numbers were correct, SVM issued a press release (the “Press Release”) which included a reconciliation of mineral production to the revenue reported in SVM’s financial statements. SVM also retained AMC Mining Consultants to summarize its reported mineral production and to update SVM’s future production estimates (the “AMC Report”). The AMC Report was released in June 2012. In May 2013, the plaintiff, a former SVM shareholder, commenced proceedings against SVM and its CEO and former CFO, alleging that a comparison of the AMC Report and the Press Release demonstrated that SVM had, in fact, overstated its production. The plaintiff advanced three types of claims in the certification motion heard by the motion judge: (1) a statutory and common law claim for misrepresentation; (2) a statutory claim for failure to make timely disclosure; and (3) a common law claim in negligence alleging that SVM co-authored and published public reports regarding its mineral reserves and production that it knew or should have known had not been properly audited or prepared in accordance with industry standards. With regard to the first claim, the motion judge found that the plaintiff’s expert evidence, which posited that the AMC Report revealed inaccuracies in SVM’s public reports, was undermined by evidence proffered by SVM’s expert. SVM’s expert had demonstrated that the figures in the Press Release and other public reports were substantially the same as the figures in the AMC Report and the plaintiff did not file expert evidence rebutting SVM’s evidence. The motion judge found that there was no support for the plaintiff’s second claim based on any alleged failure to make timely disclosure and held that the plaintiff’s common law negligence claim was unlikely to succeed because it was essentially a pleading of negligent misrepresentation, and was therefore duplicative of the first claim. The plaintiff unsuccessfully argued on appeal that the motion judge erred by misapprehending evidence and misapplying the leave test under section 138.8 of the OSA. The plaintiff’s primary submission was that the motion judge erred in law by applying a higher leave standard than what is required by the Supreme Court of Canada pursuant to Theratechnologies and Canadian Imperial Bank of Commerce v. Green. In Theratechnologies, the Supreme Court interpreted section 138.8 of the OSA, pursuant to which the court must be satisfied that a statutory misrepresentation claim is brought in good faith and has a reasonable chance of succeeding at trial, as requiring the plaintiff to show “a plausible analysis of the applicable legislative provisions, and some credible evidence in support of the claim.” A court’s assessment requires a “reasoned consideration of the evidence to ensure that the action has some merit.” The plaintiff contended that by analyzing and weighing SVM’s expert evidence against the plaintiff’s expert evidence, the motion judge incorrectly elevated the Theratechnologies leave standard and consequently turned the motion for leave into a mini-trial. The plaintiff’s second submission was that the motion judge overlooked relevant evidence and misapprehended the nature of the its negligent misrepresentation claim by construing it as a mere comparison of SVM’s public reports, Press Release, and the AMC Report. The Court of Appeal, however, agreed with the motion judge’s assessment of the claim: the focus of the plaintiff’s negligent misrepresentation claim was indeed the alleged discrepancies between the reports. Moreover, the Court held that motion judge’s reasons made express reference to the evidence that was allegedly overlooked. Ultimately, the Court of Appeal confirmed the motion judge’s finding that SVM’s evidence explained any discrepancies between the company’s public disclosure and the AMC Report and that the plaintiff had not filed evidence rebutting this explanation or cross-examined SVM’s expert on it. The Court of Appeal further rejected the plaintiff’s argument that the motion judge improperly weighed evidence and conducted a mini-trial. The Court affirmed that a judge hearing a motion is required to evaluate and weigh the merits of the proposed claim and the evidence filed by the parties. The Court of Appeal’s decision in Mask v. Silvercorp Metals Inc. affirms the test for leave in secondary market class actions. The Supreme Court in Theratechnologies was of the view that leave applications should provide a robust screening mechanism to prospective misrepresentation claims. At the same time, the Supreme Court was wary of imposing evidentiary burdens that would “essentially replicate the demands of a trial.” The Court of Appeal in Mask v. Silvercorp Metals Inc. attempts to reconcile these opposing interests by confirming that the leave test requires the scrutiny and weighing of evidence proffered by all parties. A motion judge is not limited to examining only the plaintiff’s evidence to determine whether its claims have a reasonable prospect of succeeding at trial. Mask v. Silvercorp Metals Inc., 2015 ONSC 5348. Click here for a full summary. Theratechnologies inc. v. 121851 Canada inc., 2015 SCC 18. Click here for a full summary. Theratechnologies, supra at para 39 (emphasis added). Ibid, at para 38 (emphasis added). Mask, supra at para 36. Ibid, at para 42, citing Theratechnologies, supra at para 38. Theratechnologies, supra at para 38. Mask, supra at para 43. In Kaynes v. BP  (referred to herein as “Kaynes”) the Court of Appeal for Ontario (“ONCA”) recently lifted a stay of a class proceeding in which the Plaintiff is seeking damages for alleged misrepresentations made to shareholders by BP. The alleged misrepresentations centred on the 2010 Deep Horizons Oil spill. Class actions were commenced in both Canada and the U.S. which led the Court to grant the order to stay proceedings at first instance, finding Ontario to be forum non conveniens. The ONCA was forced to revisit the stay due to developments in the U.S. proceedings. The proposed representative Plaintiff in the Canadian proceeding, Mr. Kaynes, purchased his BP securities on the New York Stock Exchange (“NYSE”). The Plaintiff alleged that BP misrepresented its operational and safety programs in its public disclosure prior to the Deep Horizons oil spill. Mr. Kaynes contends that the explosion and spill constituted “corrective disclosure” revealing the deficiencies in the earlier disclosure. He further maintains that BP misrepresented its clean-up efforts following the spill. BP brought a motion to stay the action on the grounds of forum non conveniens, which was granted on appeal. The Court of Appeal concluded that while Ontario has jurisdiction to hear claims relating to securities purchased on the NYSE (and other foreign exchanges), BP had shown Ontario to be an inconvenient forum. The basis for this conclusion was the existence of the U.S. class action and the fact that the US Securities and Exchange Act of 1934 (the “US Act”) asserted exclusive jurisdiction over claims such as those brought by the Plaintiff. The US action and the assertion of exclusive jurisdiction pursuant to the US Act, was enough to convince the Court to stay the action on the grounds of forum non conveniens, despite jurisdiction not otherwise being an issue. The Court made an order in December 2010 which appointed lead plaintiffs to represent the class; however, these lead plaintiffs had not brought a pre-explosion claim based upon the OSA. As the Canadian plaintiffs were part of the same class as the lead plaintiffs, they would be required to bring a separate class action for the pre-explosion misrepresentations under the OSA. Following the decision in the US the Plaintiff moved to have the stay of the class proceeding in Ontario lifted. The ONCA considered whether the dismissal of the pre-explosion claim in the US constituted facts arising after its initial decision which justified lifting the stay. The Court noted that if the stay was not lifted, the Plaintiff in Ontario faced a “purely procedural barrier” and would be prevented from having his claim heard on the merits. Accordingly, the Court lifted the stay, and in doing so declined to comment upon whether the Plaintiff’s claim may be time-barred, as found by the US District Court. The Court of Appeal’s decision demonstrates the inter-related nature of cross-border class proceedings. In appropriate instances, Courts in both Canada and the U.S. will look to the substantive and procedural law in each jurisdiction in considering the conduct of class proceedings. In Canada, the existence of a foreign class action may be sufficient to stay Canadian claims, unless a Plaintiff will be prevented from pursuing its substantive rights. In LBP Holdings Ltd. v. Allied Nevada Gold Corp., the Ontario Superior Court of Justice considered a motion to add the underwriters of a bought deal secondary public offering as defendants to a proposed securities class action lawsuit. In allowing the motion with respect to only two of the plaintiff’s five proposed causes of action (both of which were not contested by the underwriters), the court clarified the nature and extent of underwriter liability, particularly in the context of primary and secondary market misrepresentation claims under the Ontario Securities Act (the “OSA”). In May 2013, Allied Nevada Gold Corp. (“Allied Nevada”), a publically traded company, completed a US$150 million bought deal secondary public offering (the “Offering”) for which Dundee Securities and Cormack Securities (the “Underwriters”) acted as principals. The plaintiff, LBP Holdings Ltd. (“LBP”), purchased shares of Allied Nevada. After the price of Allied Nevada’s shares collapsed in the wake of alleged corrective disclosures, it launched a proposed class action for damages in July 2014. In the action, LBP alleges that Allied Nevada made material misrepresentations regarding its operations and finances which were incorporated by reference in the prospectus filed for the Offering. a claim for unjust enrichment seeking disgorgement of underwriting fees paid to the Underwriters. that the claim being advanced is untenable at law. The court determined that the Underwriters would not suffer non-compensable prejudice if LBP’s amendments were permitted. With respect to whether LBP’s claims were untenable at law, the court confirmed that it must be “plain and obvious” that the proposed claim discloses no reasonable cause of action. Conversely, if a claim, read generously, has a reasonable prospect of success, it will be allowed. As set out further below, the court ultimately refused to grant leave to amend with respect to the three contested causes of action. Under s. 130(1)(b) of the OSA, any underwriter required to certify a prospectus may be sued for damages by a purchaser of securities where the prospectus, together with any amendment to the prospectus, contains a misrepresentation. On the motion, LBP sought leave to advance this cause of action in respect of the prospectus filed for the Offering and certified by the Underwriters. The Underwriters established, however, that LBP’s claim was time-barred and, as a result, did not disclose a tenable cause of action. Subsection 138(b) of the OSA provides that an aggrieved shareholder must bring an action under Part XXIII within the earlier of (1) 180 days after she first had knowledge of the facts giving rise to the cause of action, and (2) three years after the date of the transaction that gave rise to the cause of action. In refusing to grant leave to amend, the court held that LBP’s proposed primary market claim was time-barred because LBP must have known about Allied Nevada’s alleged corrective disclosures when it filed its notice of action, which occurred more than 180 days before the motion to amend was brought. The court held that LBP’s proposed claim against the Underwriters under Part XXIII.1 of the OSA, which deals with civil liability for secondary market disclosure, was “not viable in principle” and, therefore, not tenable. A person or company whose profession gives authority to a statement made in a professional capacity by the person or company, including, without limitation, an accountant, actuary, appraiser, auditor, engineer, financial analyst, geologist or lawyer, but not including a designated credit rating organization. The court unequivocally held that underwriters are not “experts” within the meaning of s.138(1), affirming that underwriters “… are not intended to be caught by the secondary market liability provisions of Part XXIII.1.” The court offered several supporting reasons, first noting that “underwriter” and “expert” are given separate and different definitions throughout the OSA. Further, the s.138(1)(e) definition of an “expert” contemplates professional membership which, the court held, did not apply given that underwriters are not part of a self-regulating or self-licensing profession. Finally, reading the OSA as a whole, the court noted that the legislature expressly, and for sound policy reasons, exposed underwriters to primary market liability under Part XXIII but deliberately choose not to expose them to secondary market liability under Part XXIII.1. Even if the Underwriters were considered to be “experts” for the purpose of Part XXIII.1, the court held that LBP’s claim was untenable because, pursuant to s.138.3(1)(e), in order to establish liability, a plaintiff must show that the expert, among other things, repeated the responsible issuer’s misrepresentation in a report, statement, or opinion. The court found that merely certifying the Offering prospectus did not result in a republication or restatement of Allied Nevada’s alleged misrepresentations with the result that LBP’s proposed claim was untenable. To establish the viability of its claim in unjust enrichment for disgorgement of underwriting fees, LBP was required to show that the Underwriters were enriched, that LBP suffered a corresponding deprivation, and that there was no juristic reason for the Underwriters’ enrichment. The court held that LBP’s proposed claim in unjust enrichment could not succeed for two reasons. First, in light of the fact that the Underwriters’ underwriting fees were paid pursuant to an unchallenged contract, LBP had no reasonable prospect of showing that there was no juristic reason for the enrichment. Second, even if the fees received by the Underwriters were unjustly paid and received, absent a derivative action, Allied Nevada (who paid the underwriting fees) was the only party with standing to assert a claim. In refusing to cast underwriters as “experts” for the purpose of secondary market misrepresentation claims under Part XXIII.1 of the OSA, the court’s decision was consistent with its earlier ruling in Dugal v. Manulife Financial Corporation in which it was held that s. 130 of the OSA offers a “complete code” for underwriter liability. In the result, the court’s decision provides welcome clarity with respect to the potential sources of underwriter liability under the OSA. 2016 ONSC 1629 (SCJ) [Allied Nevada]. Securities Act, RSO 1990, c s.5. Allied Nevada, supra at para 3. Allied Nevada, supra at para 7. Allied Nevada, supra at para 62. In Coffin v. Atlantic Power Corp., the Ontario Superior Court of Justice considered two motions: (1) for leave under section 138.8 of the Ontario Securities Act (the “OSA”) to commence an action for secondary market misrepresentation and (2) for certification to proceed as a class action under subsection 5(1) of the Class Proceedings Act, 1992 (the “CPA”). Based on his review of the extensive evidence filed by the Defendants, Justice Belobaba dismissed both motions and found that there was, in fact, no actionable misrepresentation. In doing so, Justice Belobaba confirmed the close analytical relationship between requests for leave under the OSA and motions for class action certification under the CPA. During a November 2012 earnings call, the CEO of Atlantic Power Corporation (“Atlantic”), referring to a previously issued company press release, announced that Atlantic was “confident” that it could maintain its dividend at current levels (the “Statements”). Four months later, after slashing its dividend by 65%, the price of Atlantic’s shares and debentures dropped significantly. The plaintiffs, each of whom had purchased Atlantic’s shares just weeks before the 65% dividend cut, commenced proceedings in Ontario alleging that Atlantic, its CEO, and CFO (together, the “Defendants”) were liable, pursuant to subsections 138.3(1) and 138.3(2) of the OSA, for having made negligent and misleading secondary market disclosures. In particular, the plaintiffs alleged that the Statements and various other disclosures made by Atlantic (which, significantly, contained language warning that future dividends were not guaranteed) amounted to a misrepresentation of Atlantic’s ability to maintain its dividend. To obtain leave to proceed under section 138.8 of the OSA, the Court must be satisfied that the plaintiff’s action is brought in good faith and has a reasonable possibility of succeeding at trial. …whether, having considered all the evidenced adduced by the parties and having regard to the limitations of the motions process, the plaintiffs’ case is so weak or has been so successfully rebutted by the defendant, that it has no reasonable possibility of success. In applying this test, the Court noted that the Defendants, having filed 10 bankers boxes of documents (including fact affidavits, expert reports, cross-examination transcripts, and other supportive material), had “made a conscientious decision to do battle from the outset.” The Court highlighted that the alleged misrepresentations and the plaintiffs’ expert report will generally “… persuade the court that there is at least a reasonable possibility that the plaintiff will succeed at trial.” However, after reviewing the extensive materials filed by the Defendants, Justice Belobaba concluded that there was no evidence to establish that any of the Defendants had believed that Atlantic would be unable to sustain its dividend level. Rather, the parties agreed that Atlantic had sufficient cash flow to maintain its dividend level and did not dispute that dividend payments were “business judgment calls” rather than “formulaic calculations.” In the result, Justice Belobaba rejected the plaintiffs’ submission that the Defendants should have known that the dividend level was not sustainable and held that there was no misrepresentation upon which the plaintiffs might reasonably succeed at trial. As such, leave under section 138.8 of the OSA was denied. After dismissing the plaintiffs’ motion for leave to proceed with statutory claims under the OSA, the Court confirmed that the plaintiffs could still seek certification of their remaining common law and statutory shareholder and debenture-holder claims. However, in order for these claims to be certified as a class action, the Court must be satisfied, pursuant to clause 5(1)(d) of the CPA, that a class action is the preferable procedure for the resolution of the common issues raised by the plaintiffs. Before proceeding with its analysis, the Court observed that no securities class action had ever been certified once leave under the OSA had been denied, as the statutory causes of action are “tailor-made” for class proceedings. Having been denied leave under the OSA, the plaintiffs were required to show that each shareholder and debenture-holder that purchased Atlantic’s securities on the secondary market individually relied on the alleged negligent misrepresentation. The plaintiffs failed to do so. For the debenture-holder claims, Justice Belobaba noted that neither of the current plaintiffs, who were shareholders only, were proper representative plaintiffs of the proposed class. Should the debenture-holders and their lawyers wish to proceed with a class action, the Court reserved its right to hear their certification motion. Justice Belobaba’s decision underscores that, using the framework established by the Supreme Court in Theratechnologies, securities class actions will often be won or lost at the certification/leave stage. The Defendants’ strategy—to marshal extensive volumes of evidence early on in support their position that the plaintiffs could not succeed at trial—proved successful in this case. Coffin, supra at paras 153-154. Ibid, at paras 2 and 11. Ibid, at para 16. As noted by Justice Belobaba at paragraph 17 of the decision, whether or not the action was brought in good faith was not at issue on the plaintiff’s motion. Theratechnologies inc. v. 12185 Canada inc., 2015 SCC 18. Coffin, supra at paras 18-19. Coffin, supra at para 20. Coffin, supra at para 140. Swisscanto v. Blackberry: What constitutes a “public correction” for the purpose of secondary market misrepresentation class actions? The public correction may take any number of forms and need not emanate from the issuer. The market price of BlackBerry shares dropped 15% in response to the August 31st news release.12 Thereafter, a BlackBerry shareholder, Swisscanto Fondsleitung AG (the “Plaintiff”), launched a class action lawsuit in Ontario seeking, among other things, damages pursuant to the statutory right of action created by subsection 138.3(1) of the Ontario Securities Act. Subsection 138.3(1) provides that where a responsible issuer (or a person with authority acting on the issuer’s behalf) releases a document that contains a misrepresentation, anyone who acquires or disposes of the issuer’s security after the misrepresentation, but before the misrepresentation was publically corrected, has a right of damages against, among others, the responsible issuer and its directors and officers. The Swisscanto decision confirms that the “public correction” requirement in securities legislation serves as a temporal marker for the assessment of damages, rather than a substantive hurdle to obtaining leave to bring a secondary market securities class action on the basis of an alleged misrepresentation. Accordingly, at the outset of any proceeding, the legal resources of a defendant reporting issuer may be better spent challenging, on other bases, whether the plaintiff has a reasonable chance of succeeding at trial, rather than disputing the existence or timing of any public correction. 1 2015 ONSC 6434 [Swisscanto]. 2 Ibid, at para 58. 3 AB (Securities Act, s 211.03(1)), BC (Securities Act, s 140.3(1)), MB (The Securities Act, ss 176(1)-(2)), NB (Securities Act, s 161.2(1)), NL (Securities Act, s 138.3(1)), NU (Securities Act, s 124(1)), NT (Securities Act, s 124(1)), PE (Securities Act, s 124(1)), QC (Securities Act, ss 225.8, 225.12), SK (The Securities Act, 1998, s 136.11(1)), YT (Securities Act, s 124(1)). 4 Swisscanto, supra note 1 at para 65. 5 Ibid, at para 72. 6 Ibid, at para 5. 7 Ibid, at para 13. 8 Ibid, at para 10. 9 Ibid, at para 12. 10 Ibid, at para 16. 11 Ibid, at para 17. 13 The Supreme Court recently clarified the test for obtaining leave in Theratechnologies inc. v 12185 Canada inc. Read more about this leading decision here. 14 Swisscanto, supra note 1 at para 23. 15 Ibid, at para 30. 16 Ibid, at paras 47-49. 17 Ibid, at paras 38 and 45. 18 Ibid, at para 53. 19 Ibid, at para 60. 20 Ibid, at para 57. 21 Ibid, at para 57. 22 Ibid, at para 73. On December 4, 2015, the Supreme Court of Canada released its highly anticipated decision1 in a trilogy of shareholder class actions under the secondary market liability provisions of the Ontario Securities Act2 (the “OSA”). At issue was whether section 28 of the Class Proceedings Act, 19923 (the “CPA”) operates to suspend the limitation period applicable to a claim under section 138.3 of the OSA at the time when a plaintiff files a statement of claim or motion for leave under section 138.8 of the OSA, or whether the limitation period is suspended only once leave has in fact been granted. A majority of the Supreme Court restored the Court of Appeal for Ontario’s previous decision in Sharma v. Timminco4 (“Timminco”) that a plaintiff must obtain leave from the court to proceed with the statutory claim within the three-year limitation period under section 138.14 of the OSA and that it was not sufficient to simply issue a statement of claim alleging that the defendants were liable under the OSA. The Court also considered the application of nunc pro tunc orders to retroactively permit otherwise time-barred actions to proceed. In doing so, the Court rejected a bright-line test for the application of limitation periods in secondary market class actions in favour of leaving motion judges with a residual discretion to permit otherwise time-barred claims to proceed. In IMAX Corp. et al. v. Silver and Cohen (“IMAX”), the Superior Court of Justice had already granted leave before the decision in Timminco was released. However, after the release of Timminco, the defendants applied for summary judgment to dismiss the proceeding as time-barred. Justice van Rensburg dismissed the motion and granted leave nunc pro tunc as the expiry of the limitation period occurred while the case was under reserve by the court. In Celestica Inc. et al. v. Trustees of the Millwright Regional Council of Ontario Pension Trust Fund et al. (“Celestica”), the Ontario litigation was held in abeyance as a parallel proceeding made its way through the courts in the United States. The plaintiffs filed a notice of motion to seek leave after Timminco was released. The Superior Court of Justice applied the doctrine of special circumstances and refused to strike the claim as statute-barred. Justice Perell determined that leave could be granted nunc pro tunc if the plaintiffs satisfied the test for leave. In Canadian Imperial Bank of Commerce et al. v. Green and Bell (“CIBC”), the Superior Court of Justice would have granted the application for certification under the CPA and leave to proceed under the OSA. However, on the penultimate day of the motion, the Court of Appeal released its decision in Timminco. Consequently, Justice Strathy dismissed the leave application and the statutory action as time-barred by the three-year limitation period. On appeal, a five-member panel of the Court of Appeal determined that its previous decision in Timminco was incorrect and had unintended consequences as it deprived class members of an important benefit of the class action regime; that is, the suspension of the limitation period under section 28 of the CPA. In addition, the Court of Appeal held that it undercut the ability of investors to initiate class actions in compliance with the limitation period. The Court of Appeal therefore overruled Timminco and held that a plaintiff had three years from the date a misrepresentation was made to commence a secondary market misrepresentation claim (as opposed to three years to both commence a claim and obtain leave to pursue it). Notably, after the Court of Appeal’s decision in CIBC, the OSA was amended to provide that the three-year limitation period is suspended on the date a notice of motion for leave to commence the action is filed with the court.5 A similar provision is found in the securities acts of Alberta, Manitoba, and New Brunswick.6 However, the Supreme Court’s decision is applicable in those provinces that have not yet amended their securities legislation in the same manner as Ontario. The dissenting view, adopted by Moldaver, Karakatsanis, and Gascon JJ., would have affirmed the Court of Appeal’s decision in CIBC overruling Timminco and that section 28 of the CPA will suspend the limitation period once the plaintiff commences a class action and pleads the statutory claim for misrepresentation based on section 138.3 of the OSA and the facts supporting the claim.9 In that context, the dissenting justices decided that none of the class actions were statute-barred. However, while Côté J., writing on behalf of McLachlin C.J. and Rothstein J., declined to grant leave nunc pro tunc, in a separate decision, Cromwell J. would have exercised his discretion to grant an order nunc pro tunc for leave to proceed with the action based on the following analysis. In the result, the statutory claim in CIBC was permitted to proceed. Yet, Cromwell J., in a separate decision, was of a different view and exercised his discretion to grant an order nunc pro tunc in favour of all plaintiffs on the basis that the law in Ontario is currently unsettled with respect to whether parties can be added to an existing cause of action after the limitation period has expired in cases where the limitation period is contained “under another Act” (that is, not in the Limitations Act, 2002).16 Cromwell J. indicated that recent commentary takes the view that discretionary jurisdiction may apply to other limitation periods contained in different legislation, such as the OSA in this case (citing Dentons’ lawyers, Christina Porretta and Rahim Punjani’s “The Clock Strikes: A Review of the Limitations Act, 2002, A Decade Later” (2015), 44 Adv. Q. 346 at 375 for this proposition). In the result, the statutory claim in IMAX was permitted to proceed. Thus, of the cases decided by the Supreme Court, only the Celestica case was held to be time-barred and prohibited from proceeding. The Supreme Court determined by a narrow margin that section 28 of the CPA does not operate to suspend the three-year limitation period that applies to the statutory cause of action under section 138.3 of the OSA when an intention to seek leave is pleaded in a class action for common law misrepresentation. Therefore, under the OSA, as it then was, a representative plaintiff had three years to both commence a claim and obtain leave of the court to pursue it. While the Supreme Court restored the Court of Appeal’s initial strict interpretation in Timminco, it also produced a mix of views on the court’s inherent jurisdiction to grant orders nunc pro tunc and ameliorate the harsh consequences of statutory limitation periods in class action proceedings. This is perhaps the most significant implication of the majority of the Supreme Court’s decision and lower courts will be faced with the challenge of refining the boundaries of the court’s power to effectively back-date an order or judgment. On a final note, while the trilogy of decisions dealt largely with limitation periods, the Supreme Court also confirmed its previous articulation of the test for leave to proceed with secondary market securities class actions in Theratechnologies Inc. v. 121851 Canada Inc.18 The Supreme Court further affirmed the Court of Appeal’s decision in CIBC that although a class action would not be the preferable procedure to resolve a reliance-based claim in common law negligent misrepresentation, certain issues related to the intent and conduct of the defendant should be certified as common issues in order to advance the litigation. 1 Canadian Imperial Bank of Commerce v. Green, 2015 SCC 60 [CIBC]. 2 Securities Act, RSO 1990, c s.5. 3 Class Proceedings Act, 1992, SO 1992, c 6. 4 Sharma v. Timminco, 2012 ONCA 107, leave to appeal to SCC refused,  SCCA no. 157. 5 See OSA, supra note 2, s 138.14(2). 6 Securities Act, RSA 2000, c S-4, s 211.095(2); The Securities Act, CCSM, c S50, s 197(2); and Securities Act, SNB 2004, c S-5.5, s 161.9. 7 CIBC, supra note 1 at para. 53. 8 Ibid at paras. 90 and 130. 9 Ibid at para. 162. 10 Ibid at para. 136. 11 Ibid at paras. 137-139. 12 Ibid at para. 141. 13 Ibid at paras. 142-143. 14 Ibid at para. 144. 15 Ibid at para. 106. 16 Ibid at paras. 151-152. 17 Ibid at para. 111. 18 Theratechnologies Inc. v. 121851 Canada Inc., 2015 SCC 18. On October 28, 2015, the Ontario Securities Commission (OSC) published proposed OSC Policy 15-601 – Whistleblower Program (Policy). The proposed Policy provides for the adoption of a whistleblower program by the OSC with the aim to encourage individuals to report information on securities- or derivatives-related misconduct. The whistleblower program is designed to further the OSC’s mandate to protect investors from unfair, improper, or fraudulent practices, and to foster fair and efficient capital markets. If implemented, the whistleblower program would be the first of its kind for securities regulators in Canada. In developing the proposed Policy, the OSC reviewed written comments received regarding OSC Staff Consultation Paper 15-401: Proposed Framework for an OSC Whistleblower Program, which was released on February 3, 2015 (as discussed in our previous client alert). In addition, the OSC considered the dialogue about the whistleblower program that took place at its June 2015 public roundtable. As a result, the proposed Policy sets out a structured program that includes how information may be submitted to the OSC, whistleblower protections, eligibility and monetary amounts for whistleblower awards. c. in circumstances where the whistleblower provided the information to the relevant entity’s audit committee, chief legal officer, chief compliance officer or the individual’s supervisor, at least 120 days have elapsed since the whistleblower provided the information. What type of information would entitle a whistleblower to be eligible for an award? How will whistleblower awards function? For a whistleblower to receive a monetary award, the OSC requires an individual to report information and misconduct that results in administrative proceedings or a settlement under section 127 of the Ontario Securities Act or section 60 of the Commodity Futures Act. Upon final resolution of a matter, the OSC would offer an eligible whistleblower a monetary award between 5-15 percent of the total monetary sanctions imposed in a hearing or settlement where total sanctions or voluntary payments exceed CA$1 million. If the total sanctions imposed or voluntary payment is equal to or greater than CA$10 million, the award would be capped at a maximum amount of CA$1.5 million. However, if the monetary sanctions imposed or voluntary payment is equal to or greater than CA$10 million, and the OSC in fact collects an amount equal to or greater than CA$10 million in respect of the proceeding, the whistleblower may be awarded up to a maximum of CA$5 million. d. any unique hardship the whistleblower experienced as a result of the report. c.the degree to which the whistleblower was culpable or involved in the violations. The whistleblower program is expected to increase the OSC’s effectiveness in gaining high quality information in enforcing matters such as insider trading, accounting, disclosure violations and registrant misconduct. Further, the whistleblower program is expected to encourage companies to self-report misconduct to the OSC. To avoid investigations by the OSC and potential monetary sanctions, it is imperative that companies implement appropriate procedures and conduct scrupulous oversight to ensure compliance with Ontario securities legislation. The OSC is inviting feedback and written comments on the proposed Policy until January 12, 2016. The OSC’s aim is to have a whistleblower project established in the spring of 2016. 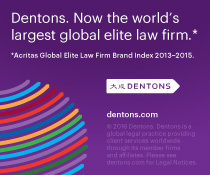 For more information about the proposed Policy, please contact Jason A. Saltzman, Michael Schafler or Matthew Fleming at Dentons. This article was co-authored by Tom Budziakowski an articling student in Dentons’ Toronto office. In Theratechnologies inc. v. 12185 Canada inc., the Supreme Court of Canada has ruled that requirements that plaintiffs demonstrate that their claims have been brought in good faith and have a reasonable chance of succeeding are no mere “speed bump” on the way to obtaining judicial authorization to bring an action against reporting issuers, directors and officers, or experts for damages resulting from the purchase or sale of securities in the secondary market. Justice Abella, writing for a unanimous Supreme Court, allowed the defendant reporting issuer’s appeal and concluded that the plaintiff investor was not authorized to proceed with an action for damages suffered as a result of the defendant’s alleged failure to disclose material changes. The decision directs courts in all Canadian provinces to more rigorously apply securities law requirements that oblige plaintiffs to obtain judicial authorization before proceeding with secondary market securities class actions. Plaintiffs, in the wake of Theratechnologies, must adduce sufficient evidence to demonstrate a reasonable chance of success, lest their claim be denied at the outset. In 2010, Theratechnologies Inc. (“Thera”), a pharmaceutical research and development company based in Montreal and listed on the Toronto Stock Exchange, was awaiting FDA approval for an HIV drug then under development. The FDA posed various questions about the proposed drug to an expert advisory committee. These questions were posted to a public FDA website and Thera elected not to make any related disclosure to investors. Subsequently, third party stock quotation companies issued press releases stating that use of Thera’s drug could cause unwanted side effects. The market reacted negatively to these reports and the plaintiff, 121851 Canada Inc. (“121851”), sold its shares and suffered a loss. 121851 took the position that the FDA’s questions represented a material change requiring disclosure pursuant to section 73 of Quebec’s Securities Act. As is the case in every province, 121851 needed judicial authorization before bringing an action against Thera. The relevant test under section 225.4 of Quebec’s Securities Act is two-fold and is mirrored in the securities legislation of all other provinces: a court must be satisfied that any given secondary market claim (1) is brought in good faith, and (2) has a reasonable possibility of being resolved in favour of the plaintiff. Both the motion judge, at first instance, and Quebec Court of Appeal held that there was sufficient evidence to conclude that the plaintiff’s claim had a reasonable chance of success. The Supreme Court, however, disagreed. The issue before the Supreme Court was whether 121851’s claim had a “reasonable possibility” of succeeding within the meaning of section 225.4 of Quebec’s Securities Act. In a unanimous decision, the Supreme Court allowed Thera’s appeal and held that an action should not be authorized. Applying these principles, the Supreme Court focussed on whether Thera failed to disclose a “material change” within the meaning of section 5.3 of Quebec’s Securities Act. The court held that there was no evidence suggesting that Thera, by electing not to disclose the FDA’s questions, had failed to make any required disclosure. Specifically, the information Thera elected not to disclose did not contain any new information about the drug or its side effects; in fact, there was no evidence to suggest that the FDA’s questions departed in any way from its routine drug approval procedure. Because the evidence did not credibly suggest that there was a material change requiring disclosure under Quebec’s securities laws, the Supreme Court held that there was no reasonable possibility of success and, accordingly, 121851’s action was not authorized. The securities legislation in all Canadian provinces contain threshold requirements analogous to section 225.4 of Quebec’s Securities Act: a claimant must establish that their action is brought in good faith and has a reasonable chance of succeeding. Accordingly, Theratechnologies will have a far-reaching impact and, given the Supreme Court’s decision, will likely result in courts approaching provincial “reasonable chance for success” requirements with increased analytical rigour. The message to plaintiff’s counsel is clear: evidence showing the fundamental merits of a claim must be adduced before a court will authorize an action for damages in secondary market securities disputes. The Supreme Court provides general guidance only, however, as to what evidence will establish that a given claim has a reasonable chance of succeeding. Although the authorization stage for secondary market liability actions “should not be treated as a ‘mini-trial’”, plaintiff’s counsel should view Theratechnologies as a call for increased evidentiary diligence. According to the court, “a case with a reasonable possibility of success requires the claimant to offer both a plausible analysis of the applicable legislative provisions, and some credible evidence in support of the claim.” Only time, and subsequent consideration and application by lower courts, will determine exactly how provincial authorization threshold requirements have been impacted by Theratechnologies. Theratechnologies, supra note 1 at para 39. Theratechnologies, supra note 1 at paras 48 and 51. British Columbia (Securities Act, RSBC 1996 c 418, s 140.8(2)); Alberta (Securities Act, RSA 2000 c S-4, s 211.08(2)); Saskatchewan (Securities Act, 1988, SS 1988-89 c S-42.2, s 136.4(1)); Manitoba(Securities Act, CCSM c S-50, s 191(2)); Ontario (Securities Act, RSO 1990 c S-5, s 138.8(1)); New Brunswick (Securities Act, SNB 2004 c S-5.5, s 161.41(1)); Nova Scotia (Securities Act, RSNS 1989 c 418, s 146H(1)); PEI (Securities Act, RSPEI 1988 c S-3, s 129(2)); Newfoundland and Labrador (Securities Act, RSNL 1990 c S-13, s 138.8(2)).